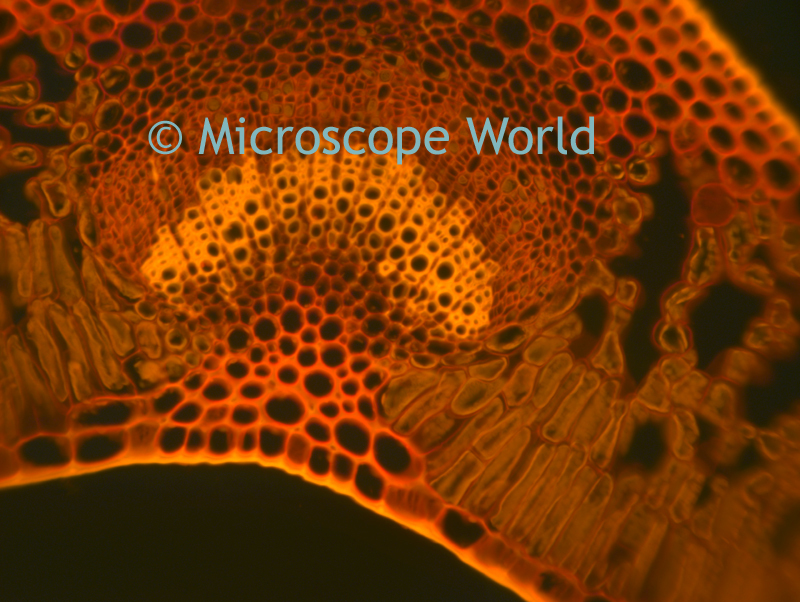 TRITC is a common filter set used with an epi-fluorescence microscope. The images below are of privet leaves - a plant introduced in the US from China for ornamental planting. These plants have become very invasive in the southern US. These images of a c.s. 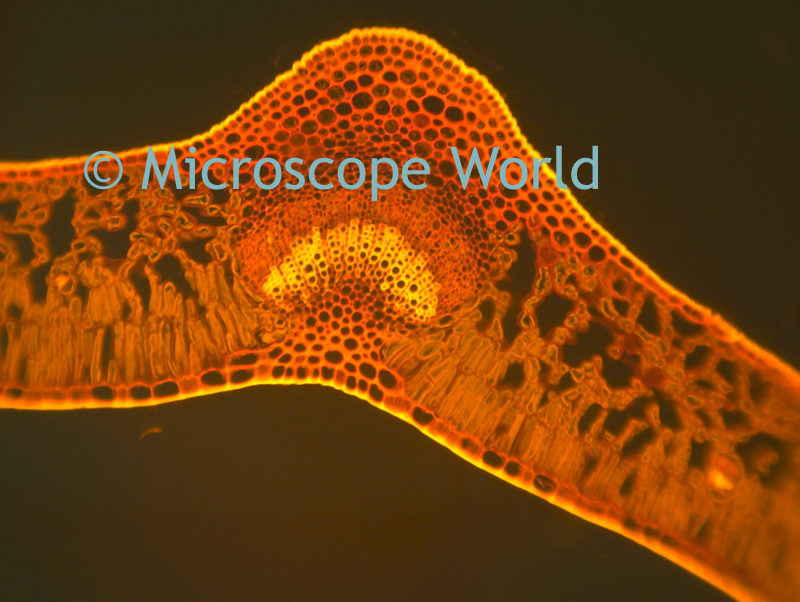 of a privet leaf were captured using a TRITC filter on the MT6300 epi-fluorescent microscope. The PRCFscan microscope camera was used to capture the images.